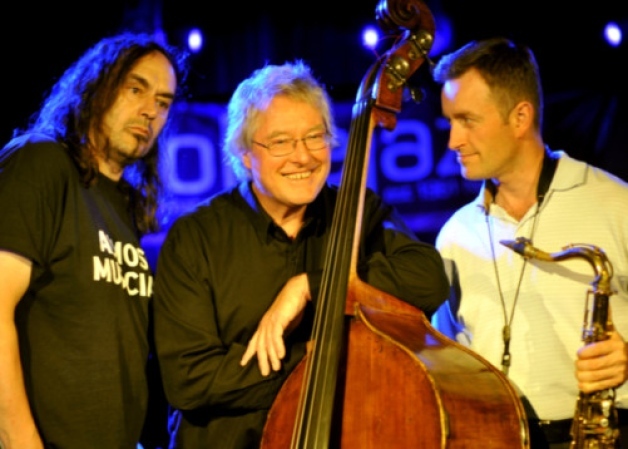 Opportunities to hear major international jazz artists outside of a festival context have become rather rare in Scotland, which made this week’s visits from this stellar European trio all the more welcome. Norwegian bass maestro Arild Andersen, our own Tommy Smith and Paolo Vinaccia, an Italian drummer long resident in Norway, have been playing together in this setting for years now, seeded by a collaboration between Andersen and Smith at the Islay Jazz Festival in 2005, and have continued to refine their beguiling interplay from an already rarified starting point. Their current concerts were intended to support the release of their second recording from ECM, originally due in October but now delayed until January. 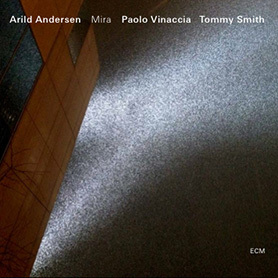 Material from the record made up a large part of the set-list, including the gorgeous title track, Miro, which Andersen prefaced with a solo introduction based on Paul Simon’s Jonah. He draws a gloriously rich sonority from his double bass, and his flowing improvisations are equally rich in invention. Smith matched the leader in both sonority and ideas, while Vinaccia’s constantly probing drumming completed what is very much a three-way musical discussion. Andersen joked that the new album is mostly ballads and might be a suitable Christmas gift for our aunts (they had advance copies for sale), but in fact most of the music they played was distinctly meaty and forceful, with strong melodies propelled on a wave of propulsive rhythmic energy.